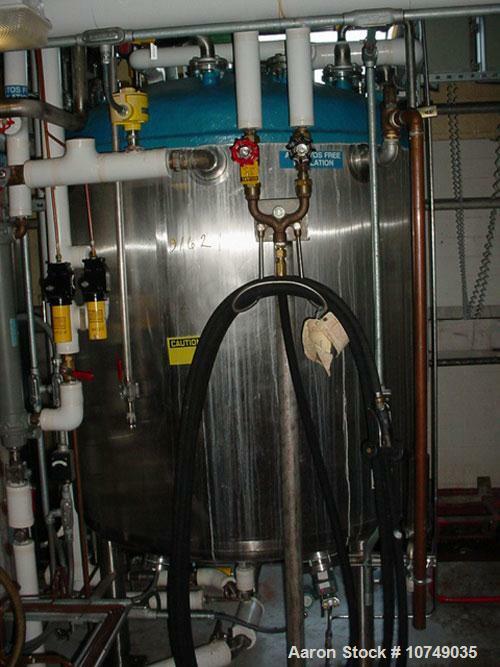 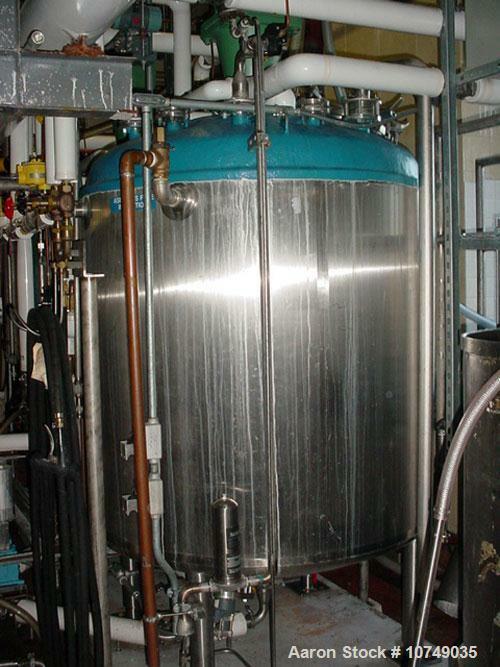 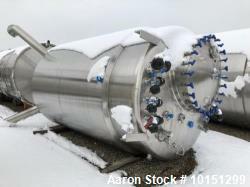 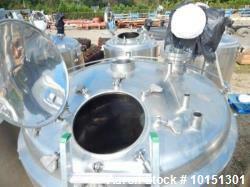 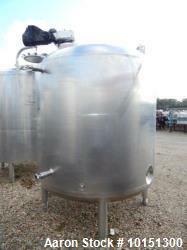 Used-Precision Stainless 500 Gallon, 316L Stainless Steel, Reactor. 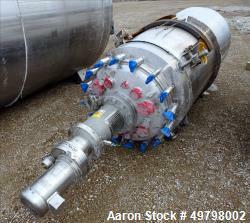 52" diameter x 48" straight side. 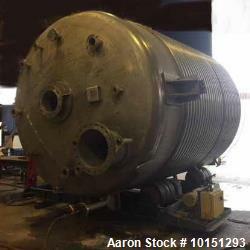 Internal rated 75 psi/FV @ 400 deg F. 304 stainless steel dimple jacket rated 130 psi @ 400 deg F. Insulated, external stainless steel sheathing. 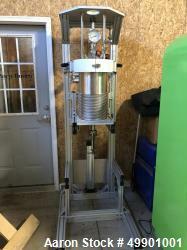 Dished top and bottom heads. 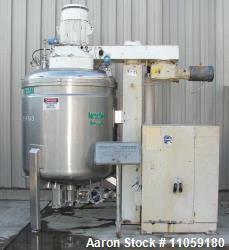 Top center mounted agitator. 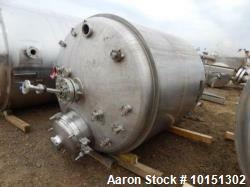 Openings: top 16" manway with cover, 8" agitator flange, (3) 2" flange, 6-1/2" flange, (2) 3/4" couplings; bottom has a 3" center bottom outlet, 4" off center bottom outlet. 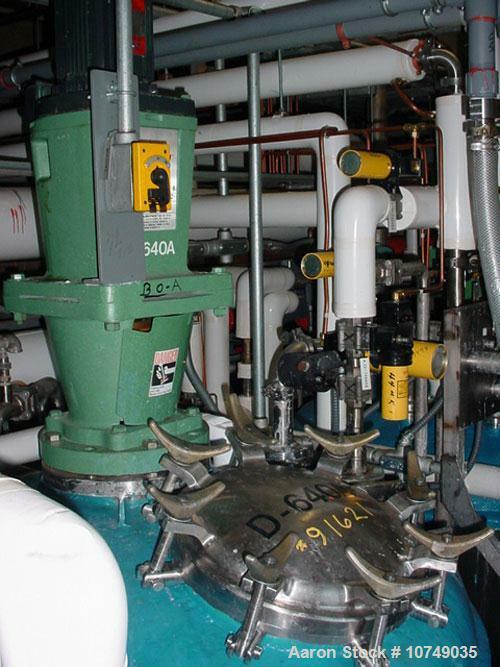 Mounted on (4) pipe legs.